A version of this post originally appeared at NASSP.org. 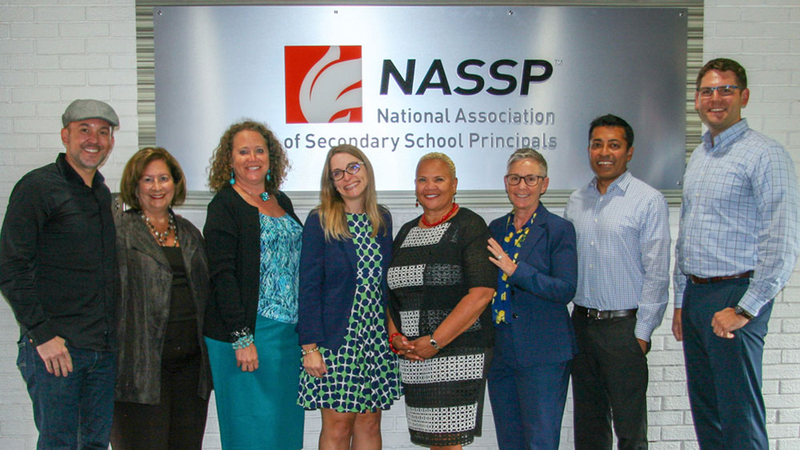 HRC is proud to partner with the National Association of Secondary School Principals (NASSP) to highlight the important role that principals have in ensuring educational equity, with a focus on safety and inclusion for LGBTQ students. The need for culturally responsive practices that promote every student’s academic well-being is especially critical in this politically charged time. HRC’s 2018 LGBTQ Youth Report found that only 26 percent of LGBTQ students feel safe in their classrooms, with only five percent stating that they feel their teachers and school staff are supportive of LGBTQ people. This heartfelt video spotlights just some experiences LGBTQ students are facing. While 83 percent of educators feel they should provide safe classrooms for LGBTQ students, only half have actually taken action to do so, according to GLSEN. HRC Foundation’s Welcoming Schools Program provides resources and training to help educators take concrete steps to create more LGBTQ-inclusive schools. And that’s what the partnership between NASSP and HRC aims to create and achieve through a series of activities including a special collaborative webinar, an event on Capitol Hill and concurrent sessions at the 2019 NASSP National Principals Conference as well as HRC’s Time to Thrive Conference. This congressional briefing event will feature principals, LGBTQ youth and policy experts who will provide guidance for school leaders and policy recommendations for Congress to support efforts to create safe and welcoming school environments for all students. RSVP for the briefing or watch the livestream on the NASSP Twitter page the day of the event. This annual national conference brings together K–12 educators and other youth-serving professionals to promote safety, inclusion and well-being for LGBTQ students. The conference provides a comprehensive opportunity for school leaders and staff to build awareness and cultural competency; learn current and emerging best practices; and gather resources from leading experts and national organizations in the field. Registration is open now for the conference—register today! If we do this, we can ensure that no student is ever marginalized and that all students can succeed.